Bermuda was first discovered in 1503 by a Spanish explorer named Juna de Bemudez. At first both Spanish and Portuguese ships used the islands as stop over for fresh meat and water. Soon legends of spirits and devils inhabiting the island sprang up. Most likely these legends sprang from the callings of native birds. Stormy sea conditions kept anyone from establishing permanent settlements on the Isle of Devils for many years. The first attempt to settle the island came in 1515 when Bermudz and Gonzalo Fenandez de Oviedo went to Bermuda with the concept of stocking the island with breeding hogs as a future food source for passing ships. That mission failed when inclement weather prevented them from landing. During the next century the island was visited frequently but never settled, also during this time the first two English settlements in Virginia also failed and the King of England was determined to establish a colony in the new world. In 1609, a flotilla of ships left England for the Americas to relieve the colony at Jamestown which had been settled two years earlier. The flotilla was broken up by a storm and the flagship,Sea Venture was wrecked off Bermuda, leaving the survivors stranded on Bermuda, most of the survivors continued on to America, the remaining settlers claimed the island for England and St. George’s was made the first capital. Being settled in 1612, it is now the oldest continually inhabited English town in the New World. The first British coins struck in America were made here. Because of it’s limited land area and near perfect climate, Bermuda has always had a problem with over population. Luckily many Bermudians immigrated to the United States as England over came Spain as the dominant European power in the new world. As seafaring was the only industry on the island, at least a third of the islands total population was a sea at any particular time. Due to limited resources and land some of the world’s first conservation measures were enacted in Bermuda. Although many attempts were made to farm the land, they met with little success and the tiny island finally turned to the sea as it’s main source of income. And along with salt mining, the sailors turned to other ventures, such as whaling and pirating. The land was also replanted with the native juniper, which was used in ship building. After the American Revolution, the Royal Navy began improving the harbors in the west chain. During the War of 1812, the British attacks on Washington and Baltimore were planned and began in Bermuda. Bermuda was used regularly by Confederate forces during the Civil War to evade Union forces, and to bring desperately needed good to the south from England. As modern communications and transportation systems developed in the 20th century, Bermuda became a popular destination for wealthy American, British and Canadian tourists. 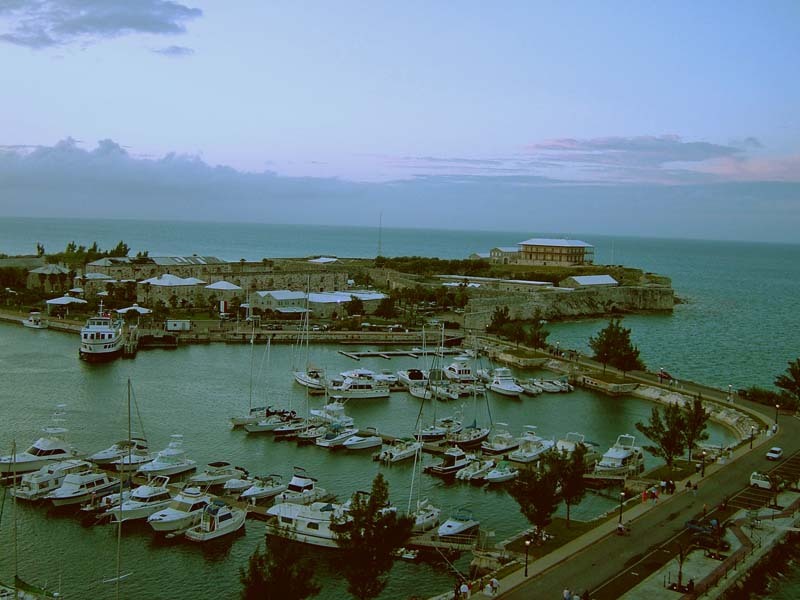 The Royal Naval Dockyard and the attendant military garrison continued to be an important component of Bermuda’s economy until the mid-20th century. Beginning during World War 2, the United States began building military installations on the island. In the late 1930s airlines began scheduled airline service to the island., in today’s world international business has out reached tourism as Bermuda’s principle industry. Gary has been a writer/ photographer for over 20 years, specializing in nature, landscapes and studying native cultures.Besides visiting most of the United States, he has traveled to such places as Egypt, the Canary Islands, much of the Caribbean. He has studied the Mayan Cultures in Central America, and the Australian Aboriginal way of life.Photography has given him the opportunity to observe life in many different parts of the world! You can also follow him on your Kindle. This informative Ebook describes alternative methods of making money ,often a full time income in photography even if you have no desire to shoot wedding photography. this book gives examples and websites where you can use your photos to supply you with an income, not only to enable you to buy new equipment, but a living income.